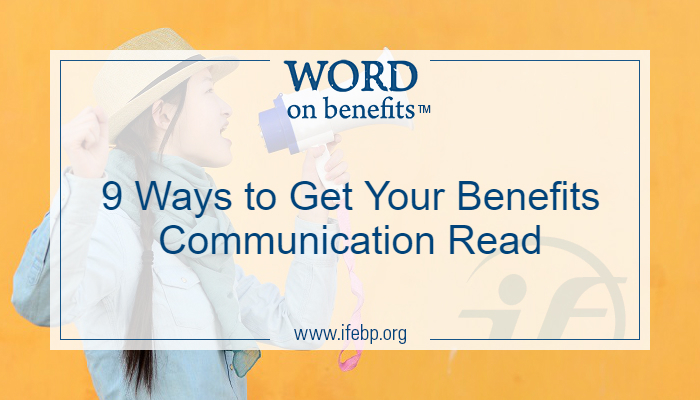 Ever feel like no one is reading your employee benefits communication? You’re not alone. In a recent survey, four out of five plan sponsors said their employees are not reading their communication materials. Consider all the channels you have for communicating with your workforce—e-mails, videos, newsletters, podcasts, face-to-face conversations, mailings, texts, etc.—and decide which will work best for your audience. You’re a benefits pro—Your workers aren’t. Make your message clear, concise and easily understood. If you’re fluent in “benefit-ese,” consider asking someone outside your benefits team to review your message for clarity. Keep your message focused. Decide before you start crafting your message what action you want them to take, and make sure to keep that point front and center. Don’t get so caught up in explaining your benefits that you forget to mention why you offer them! Be sure to make it clear how your employees benefit from your benefits. Make every effort you can to personalize your message. 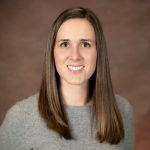 Consider creating multiple versions of communication for specific audiences, like participants in defined contribution plans vs. nonparticipants, or tailoring your message for an employee’s life stage: paying off student loans, having children, nearing retirement, etc. You’ve got a lot of competition out there. Making your message fun and engaging can help win your employees’ attention. A clever graphic or fun campaign theme can help catch their attention and inspire action. Be sure to give your employees enough time to process and act on your communication. Some situations, think benefit enrollment periods, require plenty of advance notice and a clear schedule of important deadlines. Sometimes once is not enough. Plan a communication time line for your message so you can repeat key points and offer helpful reminders of approaching deadlines. The golden rule of any communication—Keep it simple. Clear, concise and action-driven communication should be your goal. Make it short. One idea. People have short attention spans especially for difficult and unfamiliar material. If you have more than one idea, do another communication piece later. One more thing… repetition. Give your message over and over. Plan sponsors have a knack of making splashy pieces with lots of information that is forgotten within 48 hours according to studies. Short and simple, again and again. Thanks for the advice Chuck! My background is in broadcast news, this health benefit communication stuff is a smidge different.